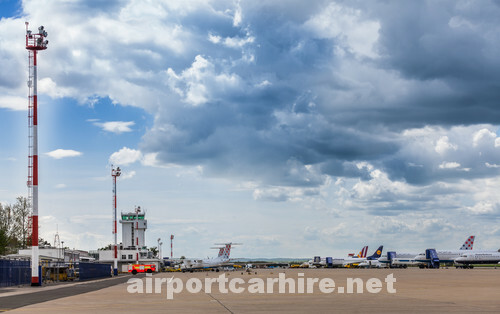 Zagreb Airport Car Hire will compare car hire rates for you to get you the Best Prices at Zagreb Airport from Hertz, Sixt Active Rent a car, ORYX Europcar and many more. 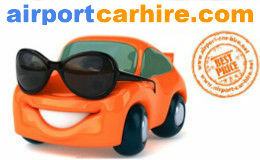 One way rental and cross border available. 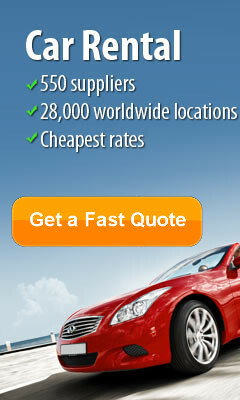 Pick up you car in Zagreb and drop it off in Dubrovnik or else where. 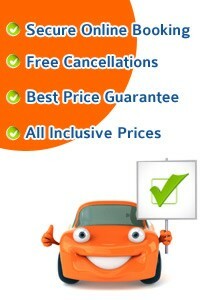 A big selection of new cars to choose from. Driving Directions to Zagreb Airport Take the E65 to the airport. Car Parking: More than 800 parking spaces for long and short term parking. Bus service: ZET (Zagreb Electric Tram) departures every 35 minutes. When considering visiting Croatia, of course that you cannot miss its capital, Zagreb. The city of Zagreb has a rich history that dates back to the Roman times, meaning it has a lot to offer you in terms of historical landmarks. Its proximity to the Sljeme mountain makes the city an even more appealing holiday destination, since such a mix of urbanization and natural beauty is not to be missed. And if not even the history and the geographical diversity did not convince you, maybe the high quality of living, museums, sporting and entertainment events will do the trick. Since you are already here, why not drive to the Medvedgrad Castle as well? The castle is not only very well preserved in such a way that will give you that sense of authenticity, but the surroundings are worth your while too. Prepare for some breathtaking landscapes since you will have the opportunity to check out the city of Zagreb from above and in all its splendor. In for some outdoor activities? Then you will be more than pleased to know that Zagreb has the perfect place for you! Jarun Lake, or "The Sea of Zagreb", as the locals use to call it, is ideal for anything from volleyball, tanning, swimming, cycling, clubbing, shopping, basically anything that you can think of in terms of relaxation time. It will be such a shame to miss it since you have already decided to prolong your holiday and have extended that rent on your car, isn't it? Do you know what else should you visit while in Zagreb? Plitvice National Park, definitely! Yes, it might be outside of the city, but how could you resist it since you are so close to it and have a rental car at your disposal? You will not only be charmed by the park itself, but the beautiful unspoiled Croatian countryside that you will spot along the two-hour drive will make your trip unforgettable. As an UNESCO Heritage Site, imagine this park as sixteen emerald lakes, connected by cascading waterfalls. And the adventure goes on, the only thing standing between you and exploring the Croatian beauty and much more is the booking of your rental car. What are you waiting for? The Regent Esplanade, Antuna Mihanovica 1 , Zagreb, 10000 Housed in an elegant and distinguished building originally built in 1925 and designed to accommodate passengers from the Orient Express, the Regent Esplanade Hotel Zagreb is known for its impeccable service and luxurious accommodations. The Regent Esplanade Zagreb hotel is one of the city's most famous and gracious buildings, and it has hosted presidents, politicians, movie stars and musicians among its many distinguished guests. Our hotel in Zagreb, Croatia flawlessly combines luxury and convenience providing exquisite accommodations in Zagreb and ensuring a relaxing and rejuvenating stay for business and leisure travellers alike. Hotel Dubrovnik, Ljudevita Gaja 1 (GPS-Praška 5) , ZAGREB, 10000 your host in Zagreb has an abundant tradition ever since 1929. Its prime location on the central city square, Ban J. Jelačić, makes it an ideal hotel for business guests and tourists as well as for holding various seminars, conferences, meetings and banquets. Just a short walk from the hotel you will find the most important cultural monuments, governmental and economical institutions, the main pedestrian area, shopping area, greenmarket in the open, lively cafes and bars, parks and promenades. The choice of Dubrovnik hotel provides you with more than just a room to stay in. You also receive the warm and friendly environment with an old Zagreb charm and you are gradually becoming a part of an everyday Zagreb life. Best Western Premier Hotel Astoria is located in a quiet area in the centre of Zagreb, the elegant Hotel Astoria provides superb comfort and services for both business and leisure travellers. The first-class traditional furnishings combined with up-to-date technology will make your stay unforgettable and truly comfortable. The hotel became part of the Best Western Hotel Chain in 2005 and after complete refurbishment it offers a pleasant ambience and a dedicated staff. The cosy Glama Bar is perfect for enjoying your morning coffee while reading newspapers. It is also ideal for an afternoon tea and evening cocktails after sightseeing or successful business meetings. The Ragusa Restaurant serves mouth watering cuisine and a great selection of wines. Paired with impeccable service, your culinary experience will surely be a memorable one. he newly refurbished Hotel International enjoys a prime location in the heart of Zagreb’s business centre, as part of a large ultra-modern complex and within walking distance to the old town. The hotel boasts 650 m² of a conference and banquet area with rooms of different sizes equipped with state-of-the-art technology. The spacious hotel rooms are completely renovated and adjusted to meet the requirements of business people as well as leisure guests. The well-trained, friendly team of employees will welcome you and be at your service 24 hours per day. Enjoy the modern lounge bar, taste delicious specialities in the restaurant and relax after a long day of work or sight-seeing. - Sam Smith / Sterling. - Noel Walsh / Boston.